The forth and the last face painting from Taiwan – and only this stamp, I did not find the role of this face in Chinese traditional opera. A lots of spots, though – anyone know? The third face painting from Taiwan – this is the role of Xiang Yu. He was a commander in the 2nd century B.C. and being a model of a Chinese opera “Farewell My Concubine”. No, not looking like a monkey, but an expression of agony. The Second face painting from Taiwan – this is the role of Guan Yu. The red colour evokes his loyalty to the monarch. An actor attaches a large beard to play this role. Yesterday was Chinese new year and people make a week long celebration. Theatrical make-up of Chinese Opera is often used for festive decorations. This is a particular make-up of a role of Zhang Fei, a military general in the 3rd century A.D. and a popular role in the Records of the Three Kingdoms. 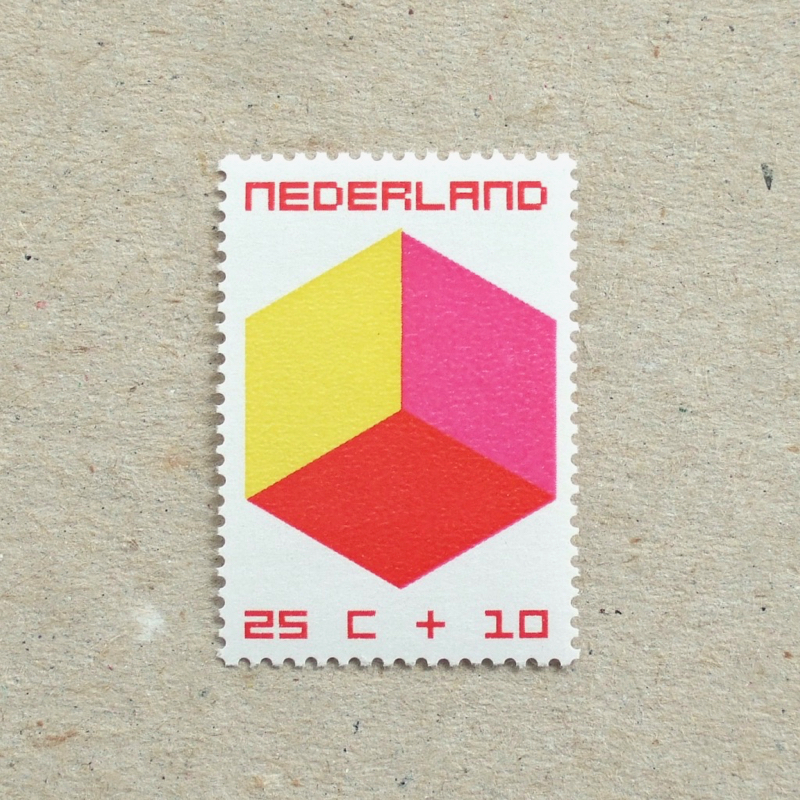 A very strong face to stick on an envelope – a talisman of a letter. 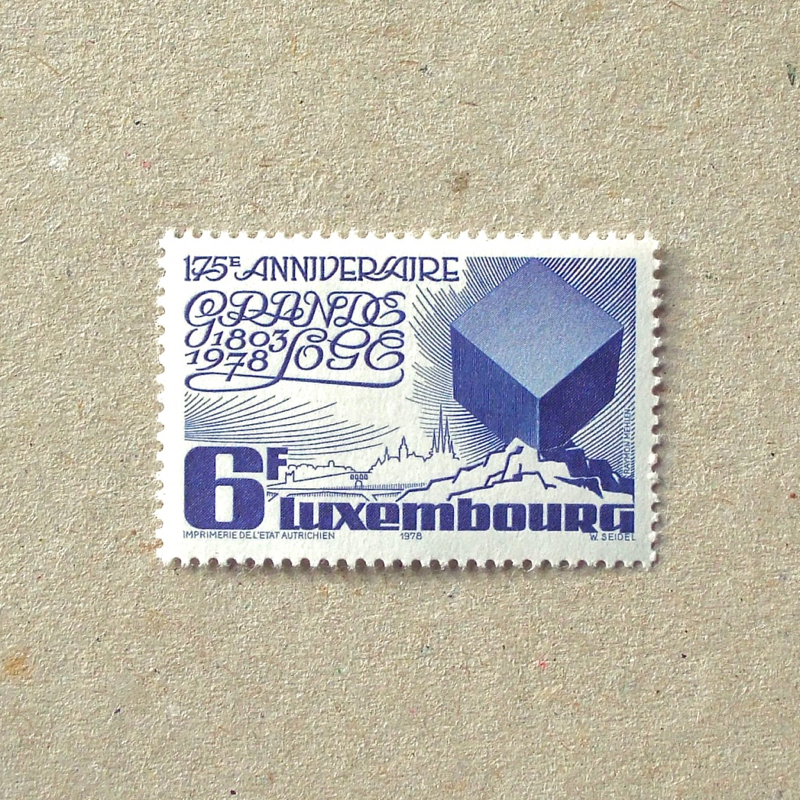 A modest mono colour, but with elaborate engraving makes this stamp very powerful. A very happy New Year to you! It’s the year of wild boar in Eastern zodiac. They were the gods of the forest in ancient animism in Japan and this is my favourite stamp which shows the animal’s sacredness. I wish 2019 will be a joyful and healthy year for you all. Well, here in the UK, we don’t know what is going to happen towards the end of March… But life is going on, we have to be creative to find the best happiness out of it! 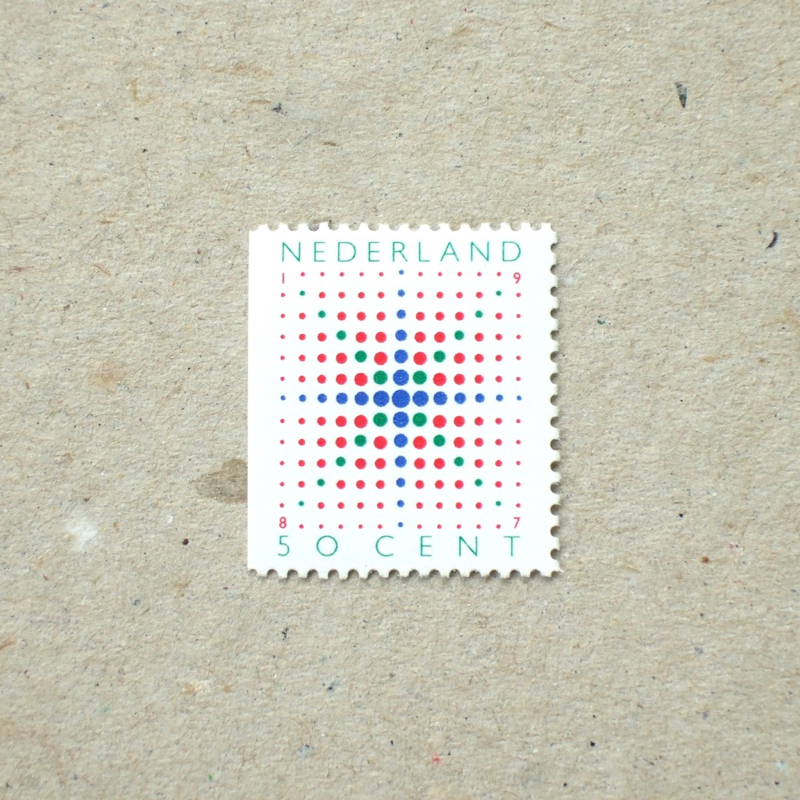 I love these stamps, only dots in different sizes in a few colours. I put them in the order which I find most ‘Christmassy’. How are they for you? The out-line geometry is Icosahedron and the formula is thought by Euler on the right. The formula is “v (vertices) – e (edges) + f (faces) = 2” in English. Some people think this is very beautiful formula – well, for me as non-mathematician, polyhedra as three-dimensional objects are more attractive. Cubocutahedron ( top left ) is one of the Archimedean solids, and the lower right one is an almost Truncated tetrahedron ( well, in progress to be ). The other two polyhedra are progressions and they must be the crystal shape of chemical formulas of lead(II) sulfide and Zinc sulfide. Nature is full of wonders! 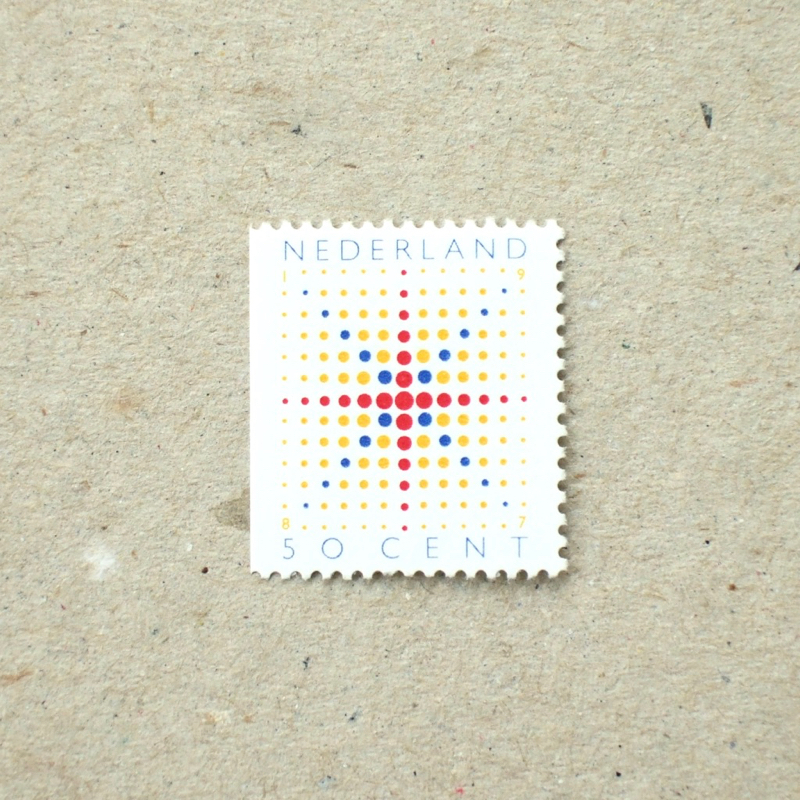 Using four colours, this stamp is really delicately designed and nicely printed. I love this crispness. 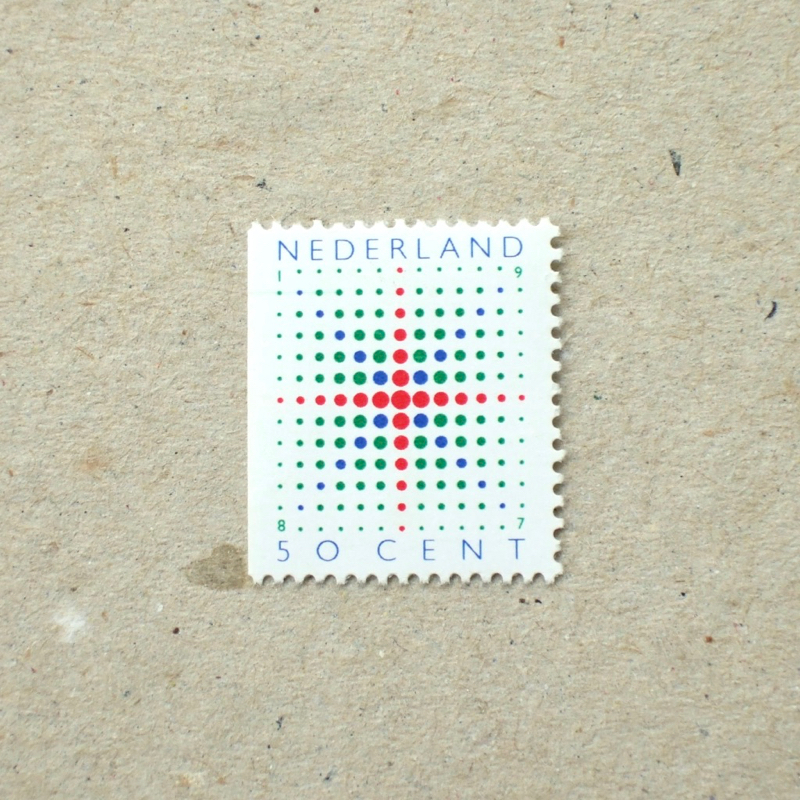 The third stamp designed by Oscar Reutersvärd. This one is also, is not possible to exist in the three-dimensional world. A visual trick of perspective in a subtle and somehow gentle way – I like it! 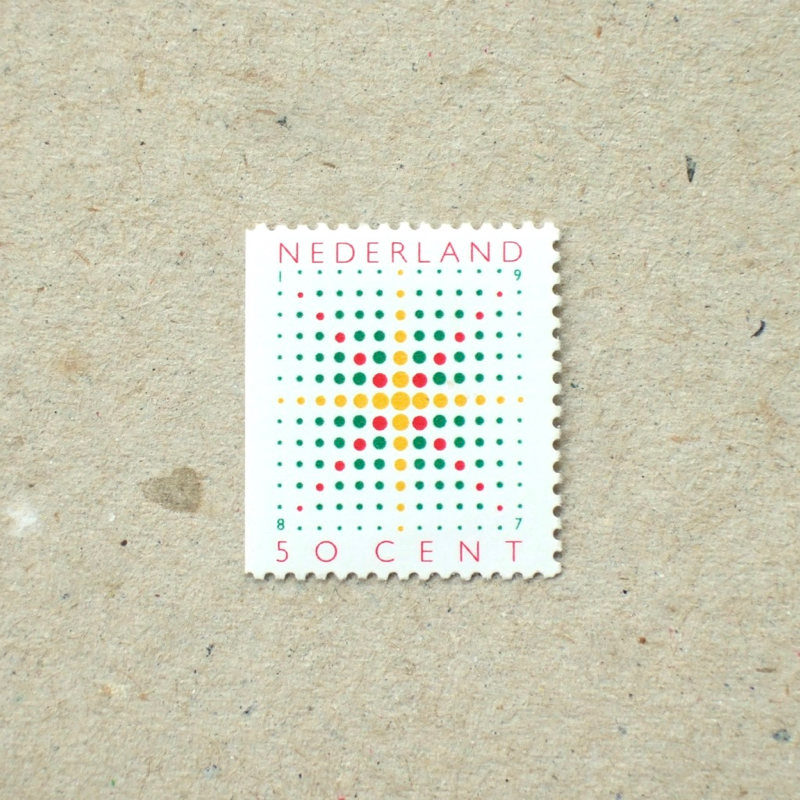 The second stamp designed by Oscar Reutersvärd. Again, not possible to exist in the three-dimensional world, thus called Impossible Object. Nine cubes are floating in the air – and if you look closely, you notice that this is an “impossible object“. Oscar Reutersvärd is an artist who started to draw these figures earlier than Escher, in the 1930s when he was still 18 years old – and he made a lot. It seems this stamp was designed by him, and engraved by Slania. 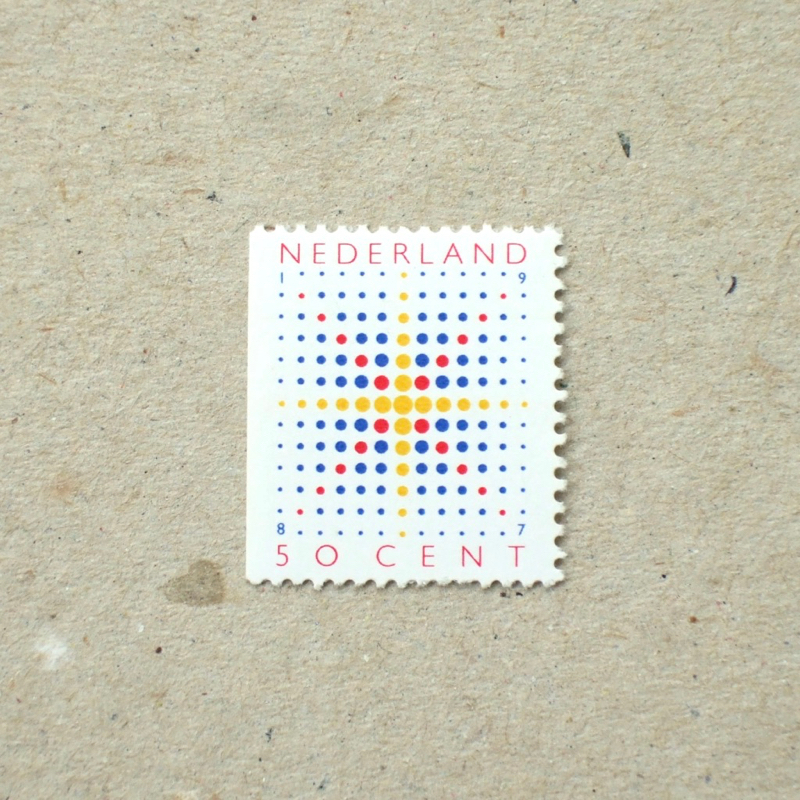 What a gorgeous collaboration yet humble looking – a stamp treasure! 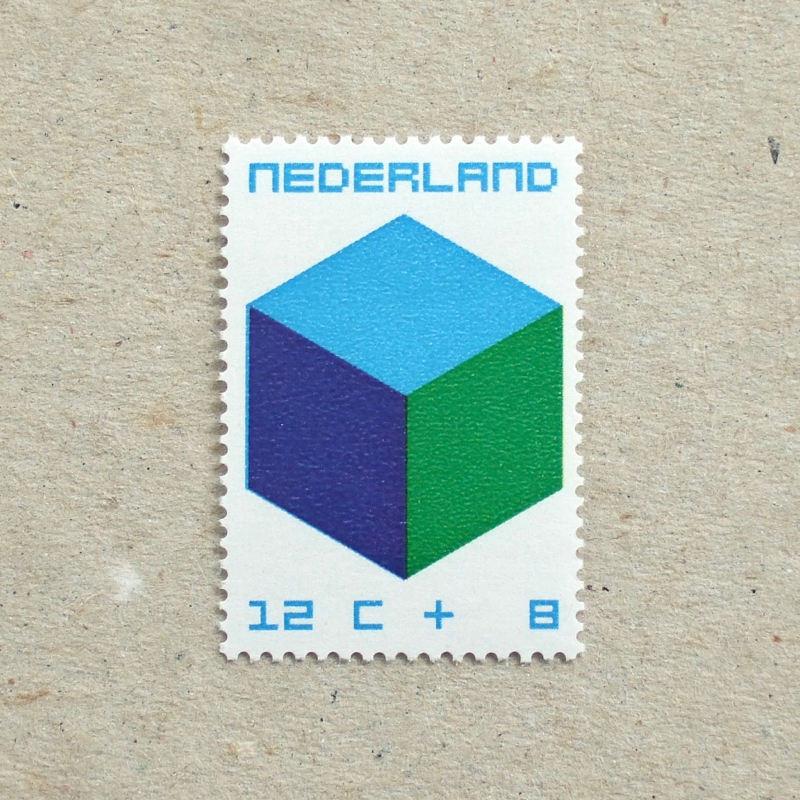 A huuuuge Cube/regular hexahedron is sitting on top of a mountain… It seems that this stamp is celebrating the anniversary of Freemasonry and I only guess that the Cube has some iconic meaning to them. Ornamental typography is in similar style to this book cover, says ‘Pioneer of graphic art’. The history of photography started earlier than I thought – although it took some time for the technology of how to fix a captured image to arrive. This photo was taken on 26 September 1911, when the first airmail was delivered. People celebrated the big day and lots of photos were taken throughout the event. With photography it is possible to capture a moment – yes that is why we cannot stop taking snaps. Somehow Black & White shows a frozen moment clearer, I think. My second stamp in the year of the dog is – a cat, sitting on a gate door. 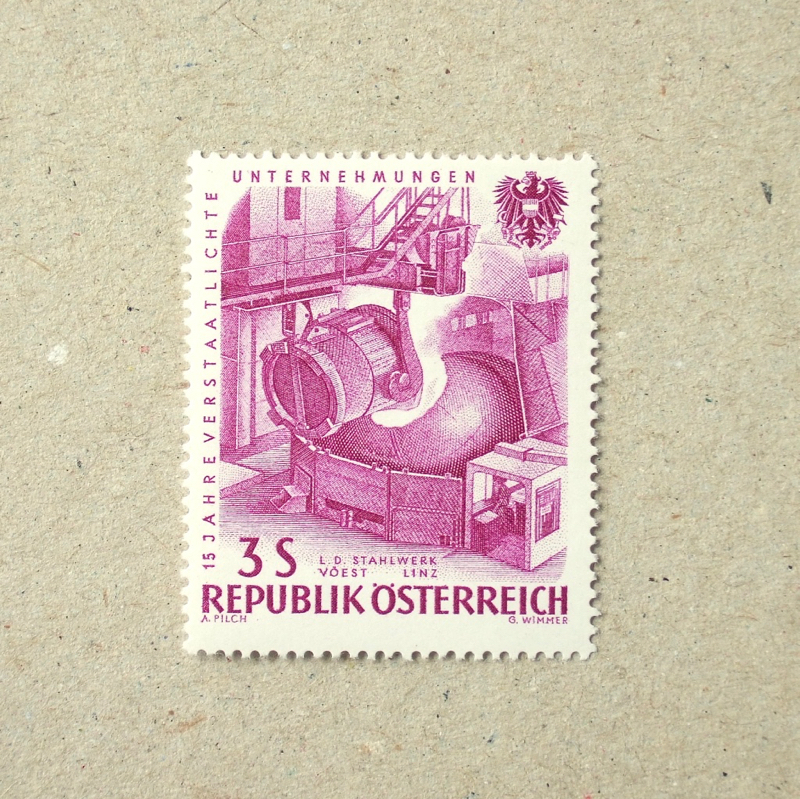 Black & White photographs are not often used for stamps, but this series works nicely on colourful envelopes.